It’s Friday! 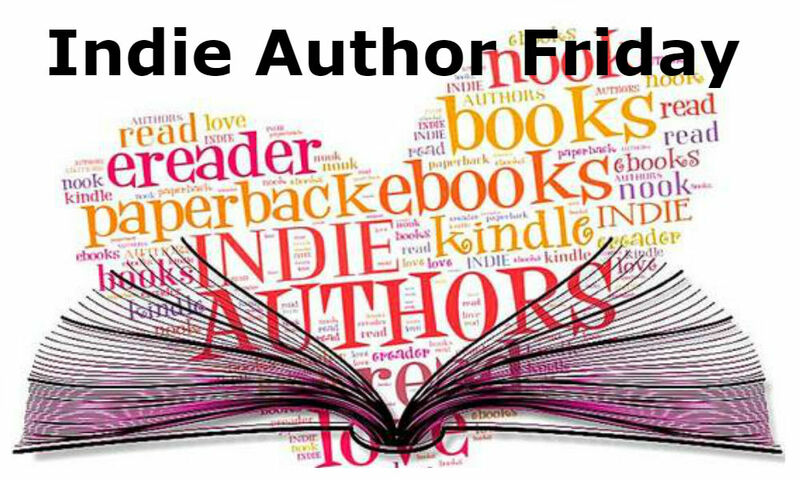 Indie Author Friday, to be more specific, and Christopher D. Schmitz is here today with his fantasy books, unusual question from a fan, and excellent taste in Netflix. After merging with her copy from an alternate reality, college student Claire Jones is thrust into a setting beyond imagine and must fight alongside Zabe, her self-appointed, inter-dimensional guardian. Together they must stop an evil warlock from shattering the laws of existence who, above all else, seeks Claire’s blood as the key to controlling the all-powerful Tesseract. If the evil one gets a drop of her blood he can rip a hole in time and space and summon his dark nega-god into existence. 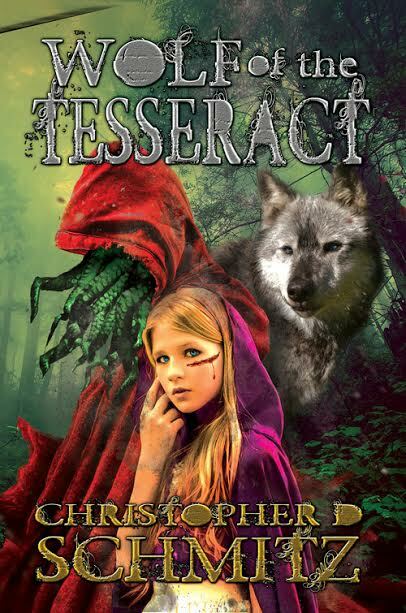 The book I’m currently pitching hardest is my paranomal YA adventure, Wolf of the Tesseract. Following WotT coming out with Black Rose Writing, I’ve written two new books and I’m in prewriting for the sequel: Through the Darque Gates of Koth. I also have the second novel in my fantasy series coming out in a few weeks (Rise of the Dragon Impervious.) Readers can get that the first novel for free by signing up for my mailing list on my main website. I’ve also had good feedback from my sci-fi Dekker’s Dozen: The Last Watchmen which is similar in feel to Firefly and Dark Matter, but with a steampunk-time-traveling twist. Plus zombies… in space. There might also be a clockwork ninja. All of my books (plus ten others) are on Amazon or on my personal website. I had someone email to ask if a supporting character (Jackie from Wolf of the Tesseract) was based on a real person–if so could I pass on her information? Reader would very much like to ask her out on a date. I took up writing short fiction exclusively for several years so that I worked on starting the story, evolving a plot, editing, killing babies, finishing the story, and dropping the mic. It also helped to learn to write succinctly and ramble less–writing shorter sentences for space reasons began to teach me how to write varied lengths and write with rhythms to move the pace and story rather than just impart communication. I play the great highland bagpipes. I often feel a little bit like Boromir from Lord of the Rings. I wish I was Aragorn, but I know the real me… at least I’m not Sméagol. Christopher Schmitz has a growing platform and is the author of both fiction and nonfiction. He has a Master’s degree and attends regular conferences and workshops. In addition to a human day-job he also writes for his local newspaper and has produced pieces for online youth resources. He lives in Minnesota with his family, occasionally competes in pro BBQ competitions, and drinks unsafe amounts of espresso. You don’t hear of many bagpipers these days. That’s cool. Reminds me of college. Our founder was Scottish, so our colors were Tartan plaid, our mascot a Scottie dog named Scotty, our symbol a thistle, and yes, we had bagpipes at all major events. Good luck with your work, Christopher. I thought the same thing when I read he played bagpipes. I wouldn’t even know where to begin if you put them in front of me! Christopher it’s very nice to meet you. BTW, I positively love the sound of the bagpipes. Stunning book covers, and I got a real kick out of LOTR comment and the email you received from a reader. That one would definitely be memorable. I thought that fan question was hilarious – think Stephenie Meyer (Twilight) got similar emails? To quote Family Feud, “Great answers Christopher.” Thanks, Teri. Thanks, Diana! It’s always good to have something to fall back on – don’t you think? Fun interview, Teri! Nice to meet Christopher. (I thought Stranger Things was a fabulous show.) Hugs all around. Wasn’t it? Did you see the second second starts around Halloween? No…! I’m glad to know they’re doing a second season. I only have Netflix and YouTube for TV. I cut the Comcast cord nearly 4 years ago and never looked back. Happy weekend. Don’t blame you a bit – if hubby didn’t need his sports, I’d probably do the same thing.